The Juggernaut is back. That great unstoppable force has been unleashed on the world once more; Cytorrak's call has been answered by one who is worthy. What more can be done to stop this megalith? The X-Men have fought to contain or rid the world of such a destructive force numerous times. To them it must feel at least a little depressive. Given this, it must be a good time to sit down and talk about the situation. Wait, what? 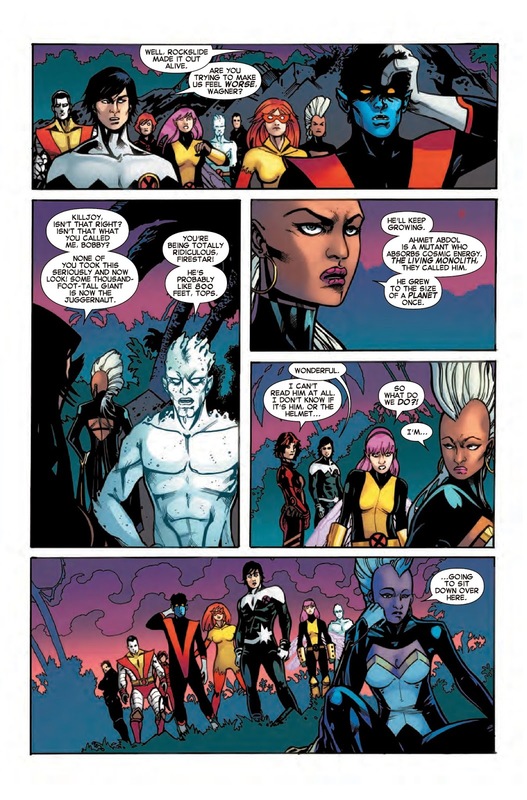 That is correct, writer Chris Yost has the audacity to get the X-Men around a campfire talking about their frustrations with this predicament. It makes for some great "out of left field" entertainment. We continue to see the flavor of humor that has characterized Yost's time on Amazing X-Men. The witty banter between the heroes is great and constant. It is also nice to see the mending of the relationship between Colossus and Storm in this issue. This was a good setup in the first part of the story and to see it come full circle brings a sense of fulfillment. 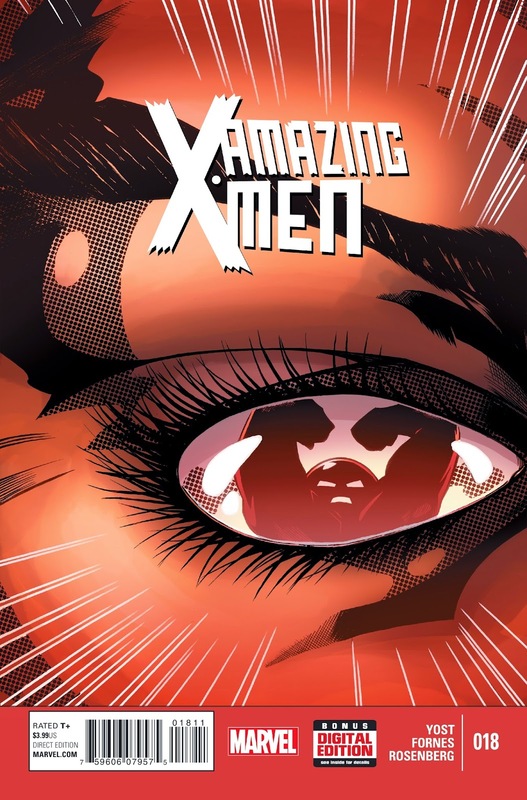 It is the dynamic between the X-Men that carries considerable weight in this series, with the focus on their relationship bringing out the best in the story. For the climax there is a great twist by Yost. 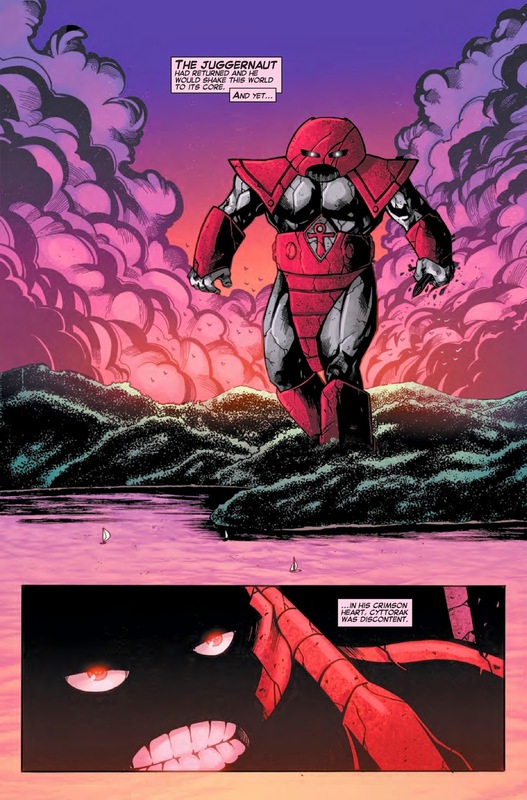 There is a Juggernaut, but it may not end up being who you expected, especially following from last issue. Without giving too much away, this issue gets a sense of completeness within the final few pages and a nice new carryover story for the next issue. 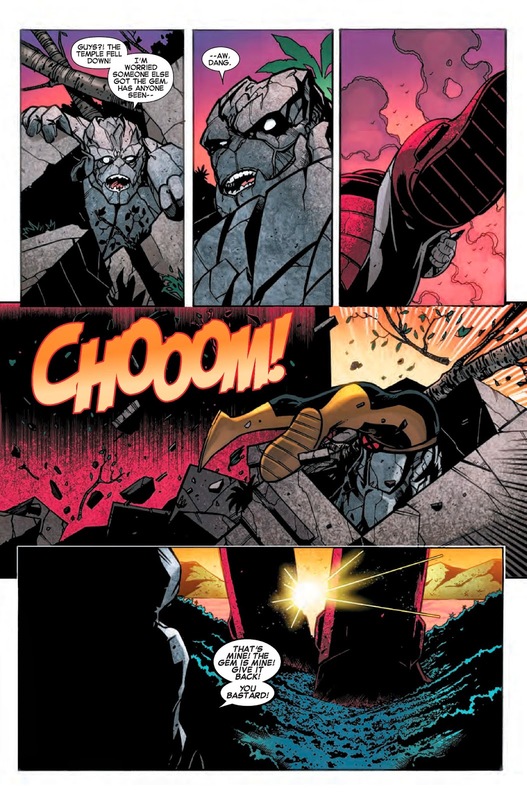 While the writing is complementary for the series, the art has steepened to meet the intention behind Amazing X-Men. The cover is quite eye-popping on this issue. Previous covers in this arc by Jorge Fornes and Rachelle Rosenberg have been fine but nothing spectacular. However, this issue's cover takes a simpler approach and ends up being very attention grabbing, which is a nice beginning to the end of this story. The art by Fornes has grown on me over the whole arc. It is especially tight on this issue. Fornes's style now comes across more confidently, and the inking is cleaner. The choice of angle and shot is more direct, flowing well with the beats in the story. 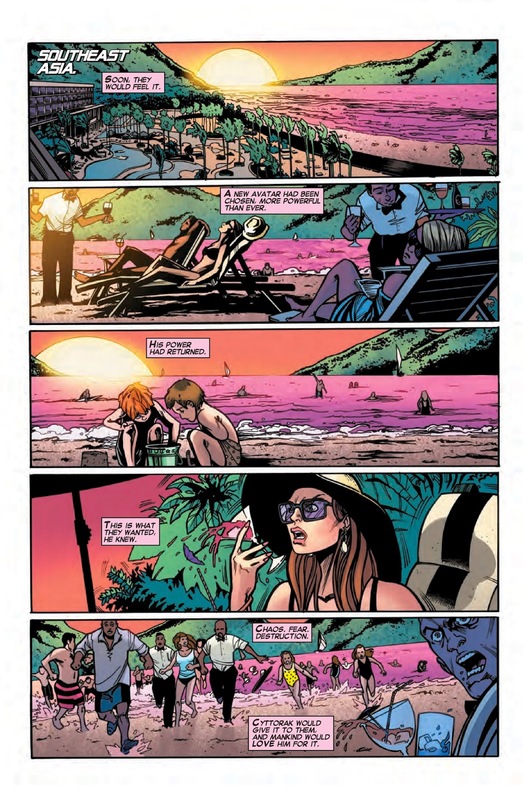 As with other X-Men titles, Rachelle Rosenberg's colors are dramatic and fitting. The opening pages showcase the talent she brings to the title. With the pending final issue not far away for this series, due to "Secret Wars," it will be sad to see the title go. There have been some great moments so far; let's hope we get to see a few more before that all happens. With that, we wrap up what has been a tantalizing story in Amazing X-Men, but we would like to hear what you thought about this issue and arc. Make sure you leave a comment below or on our Facebook orTwitter and come back next time for the next stage of X-Men mayhem. That's right; it ain't over just yet. In the next issue it's Colossus versus The Unstoppable Juggernaut!